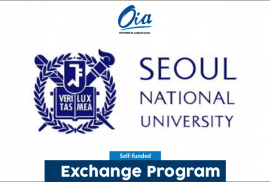 SNU Exchange Program is for students in SNU’s partner universities who wish to study at SNU for one or two semesters and transfer credits to their home institution. 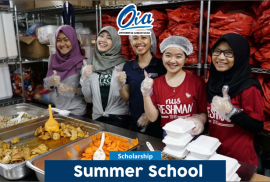 To be eligible to participate inour exchange program, candidates must be officially nominated by their home institution and pay the tuition fees to their home institution. 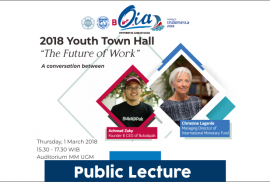 Kantor Urusan Internasional UGM mengundang seluruh civitas akademika Universitas Gadjah Mada, untuk menghadiri 2018 Youth Town Hall: The Future of Work yang akan disampaikan oleh Christine Lagarde (Managing Director IMF) dan Ahmad Zacky (CEO BukaLapak). Tempat : Auditorium MM UGM. 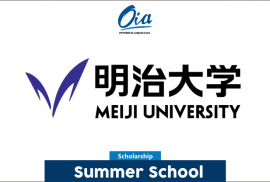 From 3rd July to 12th July 2018, School of Science and Technology, Meiji University offers a short-term program “Science and Technoilogy in Japan” for undergraduate students from our partner universities overseas. 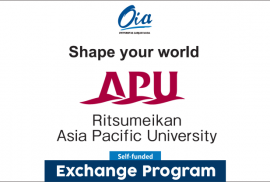 In this program students can learn fundamentals of Japanese technology in the field of EE, ME, applied chemistry, and computer science. The Temasek Foundation International Leadership Enrichment and Regional Networking (TFI LEaRN) Programme @ NUS is a programme that aims to nurture the next generation of Asian leaders by providing opportunities for cultural exchange, networking, community engagement and leadership development to students during their exchange at NUS. 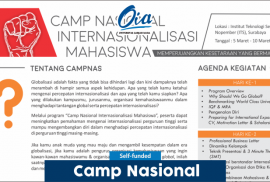 The Temasek Foundation International Leadership Enrichment and Regional Networking (TFI LEaRN) Programme @ NUS nurtures the next generation of Asian leaders by providing opportunities for cultural exchange, networking, community engagement and leadership development. 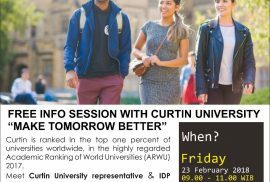 Students who are nominated by their home universities in Southeast Asia, China, Hong Kong, India, Japan, South Korea and Taiwan are eligible to apply. For more information about TFI and the TFI LEaRN Programme at NUS, please visit the websites at http://www.temasekfoundation-international.org.sg/ and http://www.nus.edu.sg/iro/fa/sch/in/tfilearn.html. OPEN RECRUITMENT DREaM TEAM 2018! 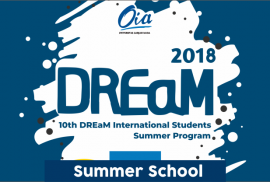 Universitas Gadjah Mada proudly presents the 10th DREaM International Students Summer Program 2018 which will be held on July 18 – 31, 2018. This year’s theme is “Reinventing Education in the Era of Disruption”, emphasizing on the importance of education and its existence in the present days which is heading towards a disruptive era. Stepping in this 10th year of DREaM will not be complete without the relentless support and contribution of student volunteers which has been a part of the long journey of success. Therefore, we are now looking for outstanding personals to become DREaM Officer and join our DREaM Team 2018! 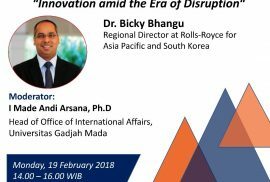 Kantor Urusan Internasional UGM mengundang seluruh civitas akademika Universitas Gadjah Mada, untuk menghadiri Public Lecture: Innovation amid The Era of Disruption yang akan disampaikan oleh Dr. Bicky Bhangu (Regional Director Rolls-Royce for Asia Pacific and South Korea) and Suryo Suwignjo (President Director PT. Phillips Indonesia). Tempat : Ruang Balai Senat, Gedung Pusat UGM, Lantai 2, Sayap Utara. 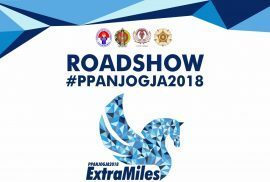 Roadshow Pertukaran Pemuda Antar Negara #PPANJogja2018 di UGM. Waktu : Rabu, 14 Februari 2018. Tempat : Ruang Multimedia Gedung Pusat UGM, lantai 3 sayap utara.